Warning this video contains images of a person who has passed. 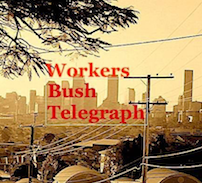 Ross Watson was a Dawson River murri where Warabinda Mission stood for many years. His grandmother lived on the Dawson river prior to the mission being set up. His grandfather was from Nebo, the Wiri clan from the Birrigubba nation. Ross was educated by Christian brothers in Yeppoon. In 1982 Ross set up black nation, a newspaper that helped organise during and after the Commonwealth Games protests. Many Aboriginal organisations grew from that. Ross Watson put his stamp on the peaceful conduct of the protests and diffused the government’s agitation for a bloody conflict. Hear what Ross Watson had to say, we can learn from his approach. 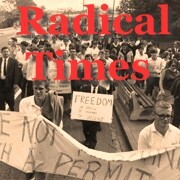 Thanks to the Radical Times Website for this material.